Easily cleaned with a water hose. Oil, flame, and UV resistant. Made of 100% vinyl. Universal size - fits under most grills. Prevents spills from soaking in and staining. Team Name: NBA - Houston Rockets. 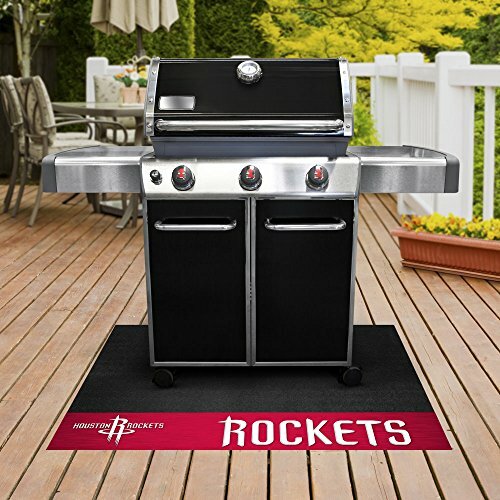 Size: 26"x42"
Non-skid surface keeps grill in place.